Check out Common Sense With Money - she's got the scoop on a Degree Money-Maker at Walgreens this week! It has been reported that some Walgreens have certain kinds of Degree Deodorant on clearance right now for as low as $1.09 each. Pay $2.04 plus tax out of pocket and get a $6 Register reward back! Reynold's loves to give away foil - I mean, honestly! How many rolls of foil do you have? If you're an avid couponer, I expect that to be at least 10 rolls! I love Reynolds..they are very generous people! And they're at it again...ONLY on Earth Day, you can register for a free mail in rebate for their 100% recycled aluminum foil (up to a $3.99 value). Click here to check out the details & sign up for a reminder email with a direct link! Remember, this code is good only for today's rentals. 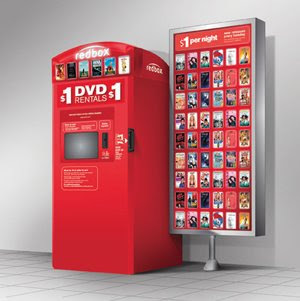 Return your movie before 9P on Tuesday to ensure you're not charged a late fee. Enjoy!